Kills 99.9% of germs including Salmonella, Staph, E. Coli, and athlete’s foot fungus on non-food-contact surfaces. 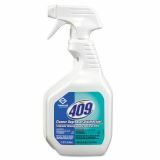 Formula 409 Cleaner Degreaser Disinfectant, Spray, 32 oz - Formula 409 Cleaner Degreaser Disinfectant dissolves grease, grime and food stains while killing 99.9 percent of germs. 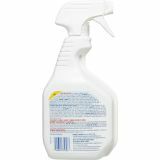 This EPA-registered disinfectant and sanitizer is formulated to kill Salmonella, Staph, E. coli and athlete's foot fungus on non-food-contact surfaces. 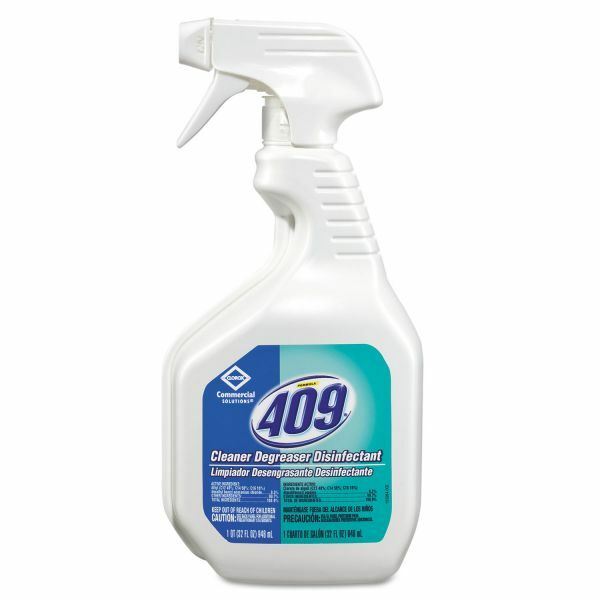 From Clorox Commercial Solutions, this degreaser/disinfectant powers through tough messes on a wide range of surfaces and is perfect for use in commercial kitchens, schools and office breakrooms. It comes in a trigger-spray bottle for easy dispensing. 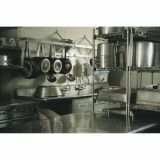 Perfect for commercial kitchens, schools and office break rooms, works on a wide range of surfaces.